How did you become interested in eyewear and what kind of training, if any, did you have? I began wearing glasses at the age of twelve. I liked the idea of being able to accessorize with new frames each year. Switching between glasses and contacts made me realize how much eyewear can really become part of your personality. 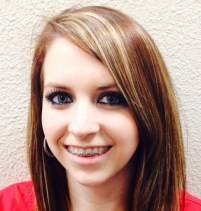 When I first started at Lifetime Eyecare, I began training as an optometrist assistant. During this time, I learned several different office responsibilities. I was trained in operating our office systems, patient care, insure and billing, and optical sales. After a year of being with Lifetime Eyecare, I had extensive training in the optical lab. I am now certified to cut and edge lenses in our office. I have now had over a year of experience working in our lab, learning about lenses and the production of eyewear, and exceeding patient satisfaction with their eyewear. What brought you to the Houston area and to Lifetime Eyecare Associates in particular? I have lived in the Houston area all my life. It's a great area to be in because of the diversity and the growing community. Because I've had an interest in eye care since I was younger, I couldn't pass up the opportunity to be a part of the Lifetime Eyecare team. What are some of your favorite eye wear brands and why? What eyewear is popular right now? Right now, big, plastic frames are very popular. My favorite designer is Fendi because of the fashion forward designs and the lasting comfort of each frame. They stay on top of the lastest fashions and have an option for all types of women. What interests or excites you the most in the field of eye wear? As an optician, I love being able to help each individual meet their own wants and needs. Picking frames and lenses can be overwhelming if you don't have the right guidance. It is important that each patient is offered options that are best suited for their lifestyle. I enjoy being able to help make the optical experience something to look forward to. What trends do you see developing over the next several years in the eyewear field, and how do you stay ahead of them? 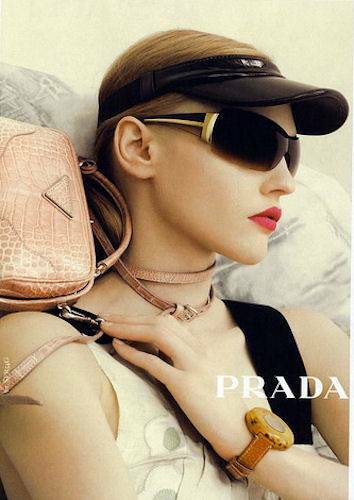 Fashion trends are constantly changing in the eyewear field. Our office meets with our frame representatives quarterly to insure that we always have the latest fashions. It is equally important to us to offer the latest trend in technology. We want our patients to have the latest and greatest of everything, so we do our best, and are often the first in our area, to offer many of the newest advances in technology. Many people think they are restricted to one particular shape of eyewear, is this true? Every face is unique. What looks good on some might not look good on others. That being said, most people are not restricted to one specific shape. I believe that people are comfortable in or prefer one particular shape, but there are usually several different options that will suite each person. Sometimes, I will give someone a shape completely different than what they are trying on, and they are surprised to find that there is usually more than one option for their face. Are polarized lenses very important? Polarized lenses are very important for every patient. There is a difference between a polarized lens and a tinted sun glass lens. Not only are you protecting your eyes with polarized lenses, you are also maximizing your visual clarity. Polarization blocks horizontal light waves, which helps reduce surface glare. This is especially important when driving, playing sports, (including water sports,) or being outside in general. Our lab uses custom surfaced polarized lenses to help insure the best quality for our patients.